Have You Engaged Your Team in Giving?! For a fast-growing company like SpotHero, it’s vital to continually improve the employee experience. Giving is an important aspect of the employee experience, and employees had even formed an internal giving team. The Happy Heroes jumpstarted SpotHero’s community engagement, but members ran up against typical competing business priorities. “We tried to have a cadence and strategy, but we’re a growing startup and got busy so it was pretty all over the place”, said one Happy Hero. 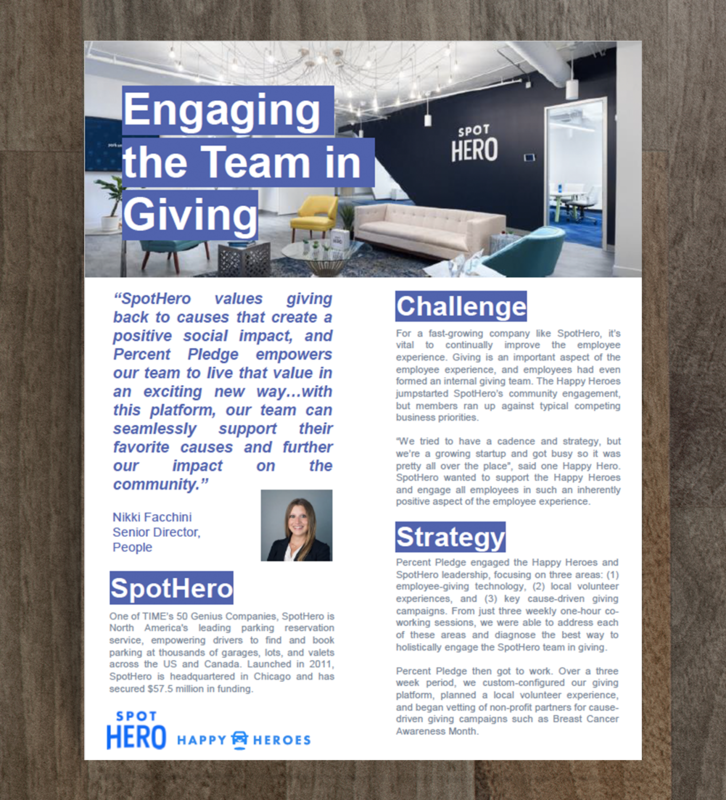 SpotHero wanted to support the Happy Heroes and engage all employees in such an inherently positive aspect of the employee experience. Fill our the form to keep reading and see SpotHero's huge results!